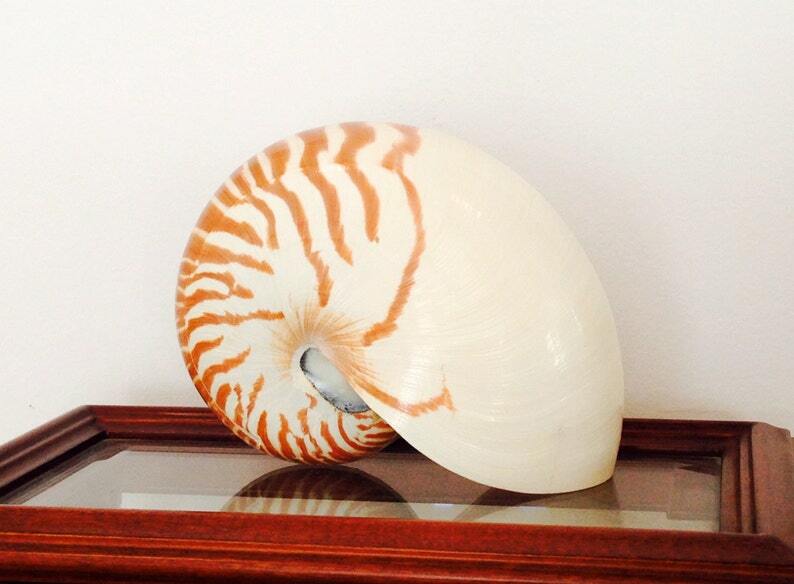 Bring the beach look indoors with this beautiful Natural Nautilus Shell. 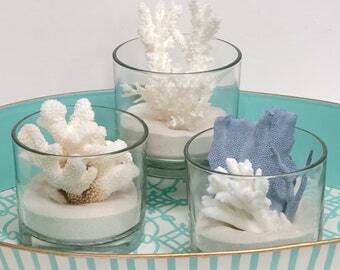 Whether you're near the sea or landlocked, style your home in the spirit of summer. Use on a shelf, table or bathroom counter. I have three sizes. Choose either 3"-4", 4"-5" or 5"-6"
The Smithsonian reports that Nautiluses first appeared about 500 million years ago during the Cambrian Explosion—they were jet-propelling themselves through ancient seas 265 million years before dinosaurs inhabited the Earth. 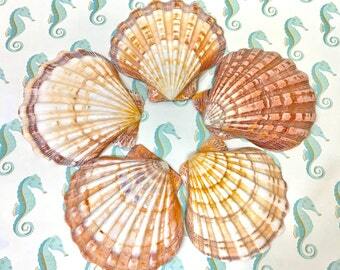 Nautiluses are described as living fossils because they have remained virtually unchanged for millions of years. Seashells - 25 Brown Chulla Shells - ivory to dark brown and peach - 1" - 1.50"
The two shells arrived this morning to Ireland in perfect condition 👏🏻👏🏻👏🏻 I was so impressed.. they’re beautiful.. absolutely breathtaking.. they’re for my sister who’s obsessed with Nautilus’s and these will be the 1st ones she has seen in the flesh so to speak! !